As we stand at the threshold of another new year we look forward to all that God will do in 2014. As we do, we also believe it is important to celebrate the great things that God has done in the past. And so it is a joy in this first Good News Update for 2014 to encourage you to take part in the second ever National Christian Heritage Sunday which will take place on Sunday 2 February, 2014. This is a time to reflect on our Christian foundations and recognize the hand of God in the shaping of Australia. In particular, it is a time to celebrate the first known preaching of the Gospel of Jesus Christ on Australian soil. 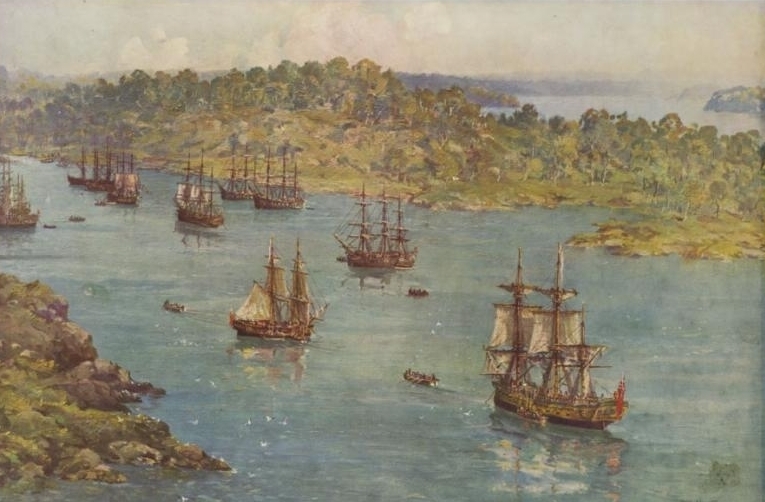 This took place on 3 February, 1788, the first Sunday after the First Fleet had anchored in Sydney Cove with its cargo of 780 British convicts as well as many Bibles and Christian books. The preacher was the Reverend Richard Johnson who preached to his congregation of newly-arrived convicts, free settlers and marines. The service was held on a grassy hill underneath a ‘great tree’ as there were no buildings at the time. This video clip called The First Fleet Bible tells the fascinating story and shows the Bible that Richard Johnson most likely used. 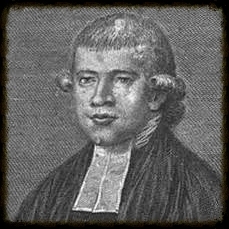 Reverend Richard Johnson was appointed as chaplain to the First Fleet and the new colony when originally there was no plan to send a chaplain. The change was made because of action taken by a small group of clergy and laymen, known as the Eclectic Society (‘eclectic’ means ‘a thinker who selects and reconciles principles, opinions belonging to different schools of thought’). 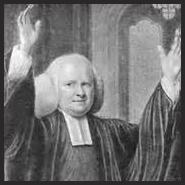 They nominated the committed Richard Johnson and were able to persuade Prime Minister William Pitt to appoint him as chaplain. So the prayers and positive action of a few made a difference! It is noteworthy that the Eclectic Society included the great social reformer, William Wilberforce (left) who eventually brought about the abolition of the African slave trade in 1807 as well as the Reverend John Newton (right) the former slave-ship captain who wrote the hymn ‘Amazing Grace’. We can be thankful that God used such men to lay a spiritual foundation for Australia. They are a very real part of our Christian heritage which National Christian Heritage Sunday encourages us to cherish and celebrate. National Christian Heritage Sunday takes place on the first Sunday of February to coincide as much as possible to the actual anniversary date of 3 February 1788. This year National Christian Heritage Sunday takes place on 2 February only one week after Australia Day which also falls on a Sunday. The main visionary for the National Christian Heritage Sunday is a practising dental surgeon Dr Graham McLennan, the founder and head of the National Alliance of Christian Leaders. Graham was on the leadership team of the National Gathering in our Bicentenary year 1988 when 35,000 Christians came to Canberra to open New Parliament House in prayer. Graham was also one of the visionaries of the Canberra Declaration. He was amongst those who knelt on the lawns of Parliament House on 23 July 2010 to commit the Canberra Declaration to God in prayer. Throughout his years as a history-maker, Graham has had a passion to discover and document the hand of God in the history of Australia. His recent article entitled ‘Australia’s Christian Foundation and Heritage’ has just appeared in Family World News. At the National Christian Heritage Sunday website you will find an invitation to participate as well as suggested short readings and a prayer. Please encourage your church leaders to get involved by using these. This 4 min YouTube, in which you will meet Dr Graham McLennan, is an example of one of the excellent resources that could be used on the day. We close with Reverend Richard Johnson’s text of that first known Christian service 226 years ago which we believe still challenges us as Australians today. We live in a land that is richly blessed by the mercy and the goodness of God – a land where the Gospel of Jesus Christ can still be freely preached and lived. As we look at the world today, especially places that do not have a Judeo-Christian foundation like Australia, we realize how blessed we are. This is something to celebrate! So with thankful hearts for our Christian heritage, let us prayerfully consider what we can render to God in 2014 to keep protecting and building on the Christian foundations of Australia. 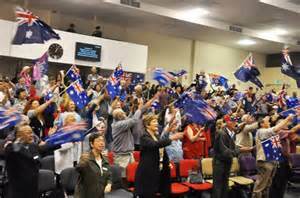 Have a great Australia Day and National Christian Heritage Sunday. Like that very first Christian service you might even decide to conduct your service outside underneath a tree!